The IT Cosmetics Vitality Brightening Anti-Aging Face Disc in the shade Live, Laugh, Love is the perfect multi-tasking product. This is definitely your all in one palette and perfect for traveling. The packaging is nice. It's a large, round compact with a huge mirror. The outside packaging is black and rubberized and it looks very chic. 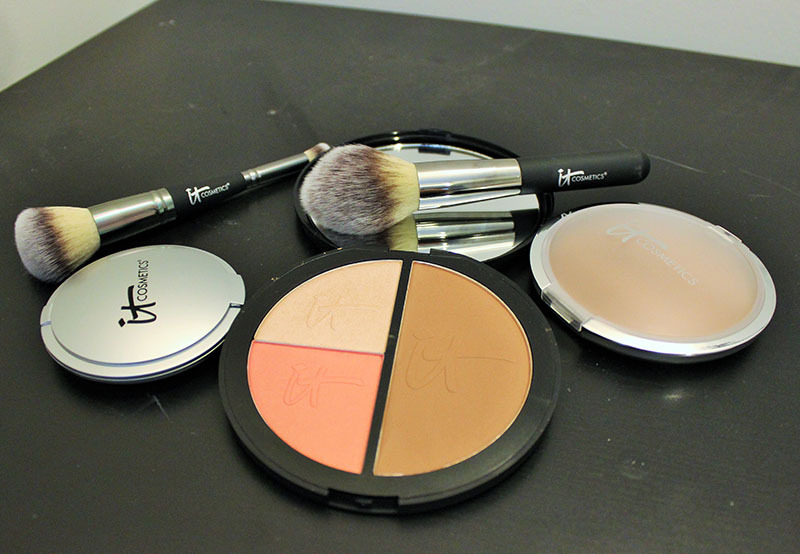 The Vitality Brightening Face Disc includes an anti-aging, matte bronzer, illuminating powder highlight, and a powder blush stain. This is an anti-aging product, and contains Peptides, Hyaluronic Acid, Hydrolyzed Collagen, Acai, Green Tea, Vitamins A, C & E and it's Talc free. Like all other IT Cosmetics products, this is Cruelty-Free! This is formulated to diffuse the appearance of lines and wrinkles on your skin while giving you a healthy glow. These powders are very pigmented and long-wearing. They're also very blendable. The bronzer is a neutral-warm brown. It's not too warm that it's orange, but it's warm enough to give your skin a warmer appearance. It's also matte. 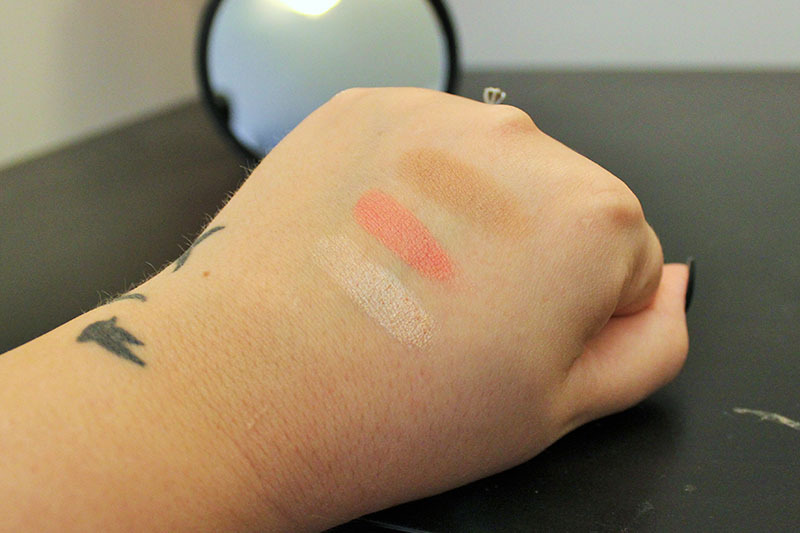 The blush is a peach tone that looks really natural. It's matte as well, and gives the illusion that you've just come in from out of the sun. The highlight powder gives a really beautiful sheen to the skin. It gives more of a wet look to the cheek bones. It has pink-y undertones, and it's more of a champagne shade. 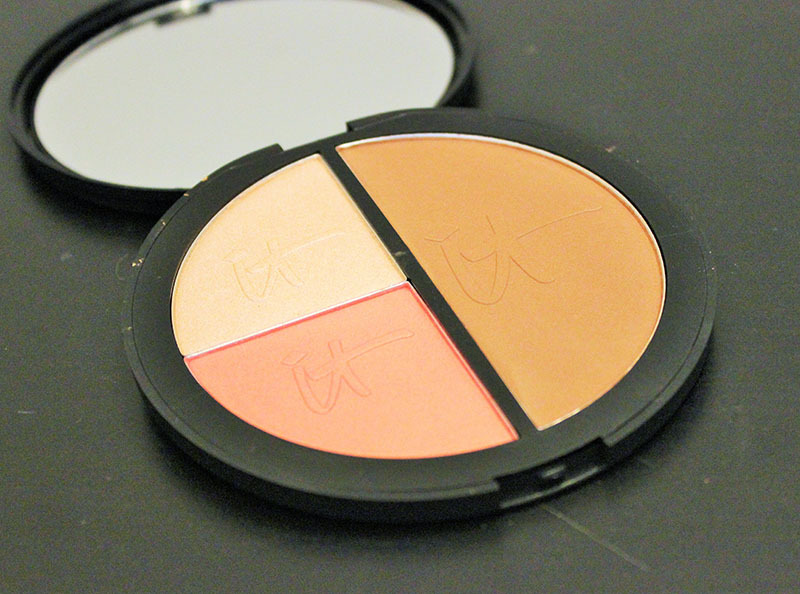 It's gorgeous on the skin, especially when paired with the other two products in the palette.